Overview… a woman who just wants a normal family. Sounds reasonable, but it’s actually pretty difficult when you’re Elena de la Vega, and your husband is a masked vigilante named Zorro. In addition to keeping his identity a secret, Elena must also deal with his constant absence and has to raise their son, Joaquin, mostly on her own. She wishes Alejandro (aka Zorro) would become more of a family man. Unfortunately, he isn’t so keen on giving up his alternate identity. Personality… loving, but feisty. Elena is a dedicated wife and mother, but she has had just about enough. She’s asked Alejandro again and again to settle down and pay more attention to Joaquin, all to no avail. This time, Elena won’t be so lenient. It’s either Zorro or the family. No ifs, ands, or buts. Elena de la Vega's popularity ranking on CharacTour is #2254 out of 5,000+ characters. See our top-ranked characters and read their profiles. 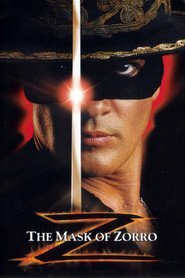 It has been twenty years since Don Diego de la Vega fought Spanish oppression in Alta California as the legendary romantic hero Zorro. Having escaped from prison he transforms troubled bandit Alejandro into his successor, in order to foil the plans of the tyrannical Don Rafael Montero who robbed him of his freedom, his wife, and his precious daughter Elena all those years ago.